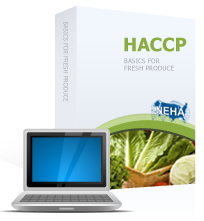 HACCP Basics for the Fresh and Fresh-cut Produce Industries is an online, self-paced course on the HACCP System and its prerequisites. The course is designed to assist participants in implementing a legally mandated food safety plan for bringing the safest possible raw vegetables and fruits to market and is accredited by the International HACCP Alliance. The course curriculum consists of 12 modules covering topics on meeting government, industry, and auditor requirements for the development of a working HACCP plan, including Good Agricultural and Manufacturing Practices as well as the Food Safety Modernization Act. Module 02 – How big of a problem is foodborne Illness? Who is at risk?